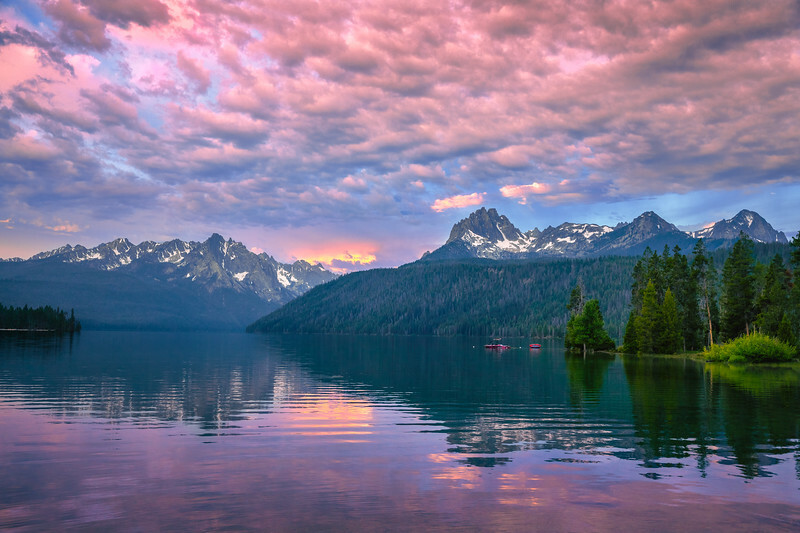 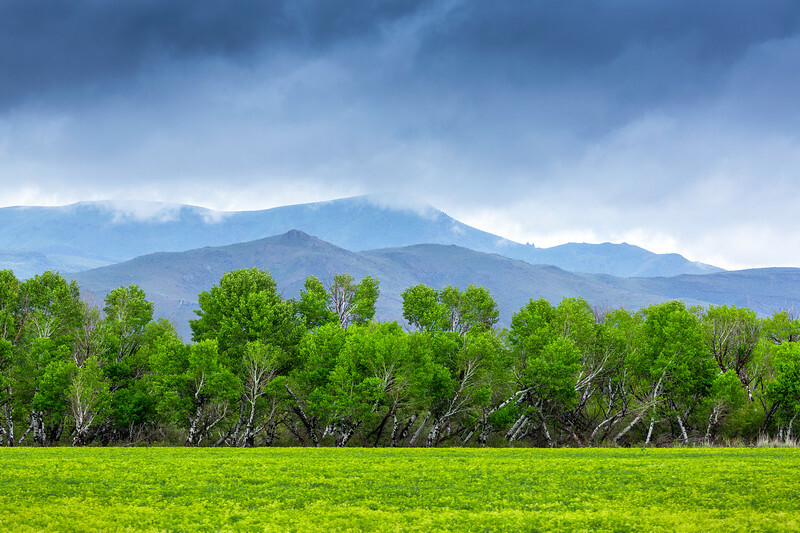 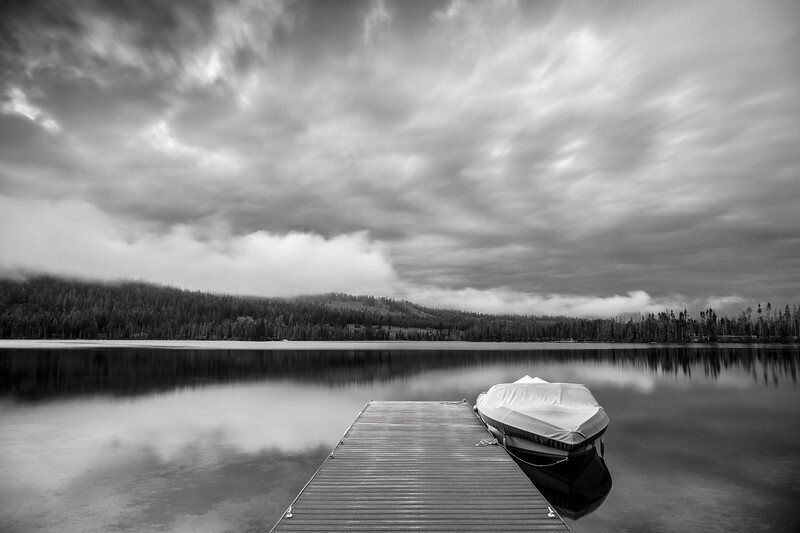 An assortment of landscape images from the beautiful state of Idaho. 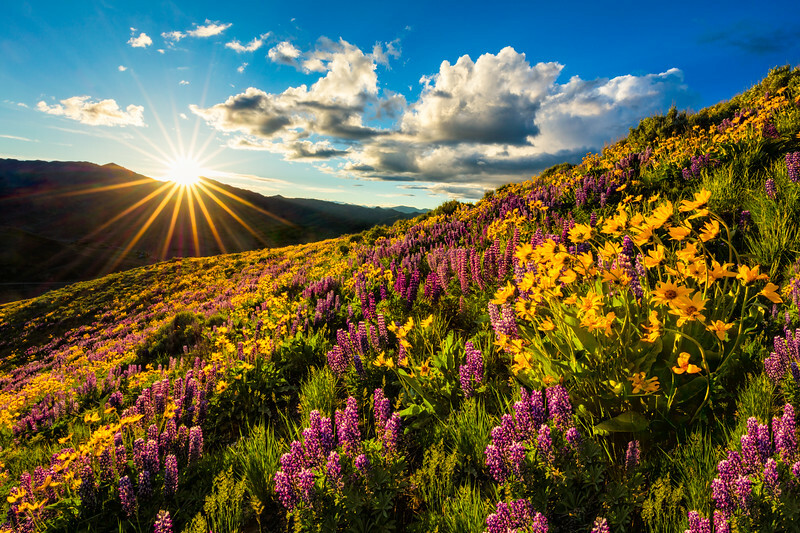 The sun sets over vibrant wildflowers in Hailey's Colorado Gulch. 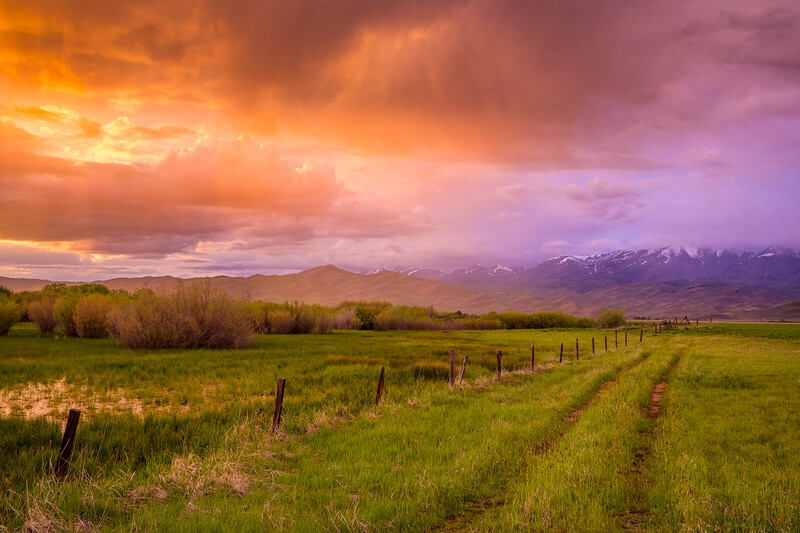 Storm clouds pass over Idaho’s Camas Prairie at sunset. 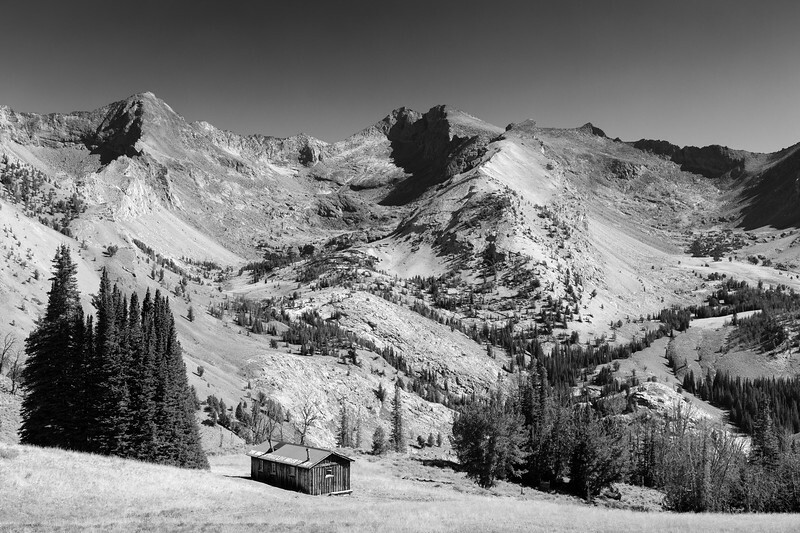 Captured in the Boulder Mountains, just north of Sun Valley, Idaho. 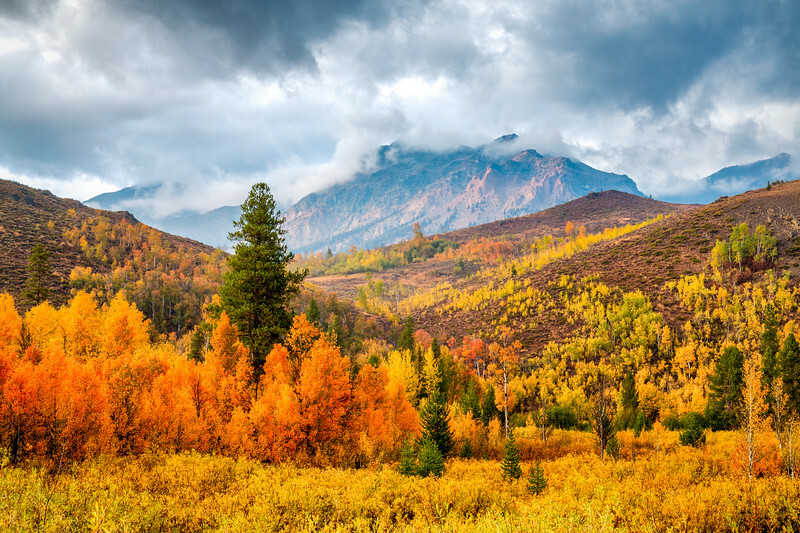 Something magical happens when seasons collide. 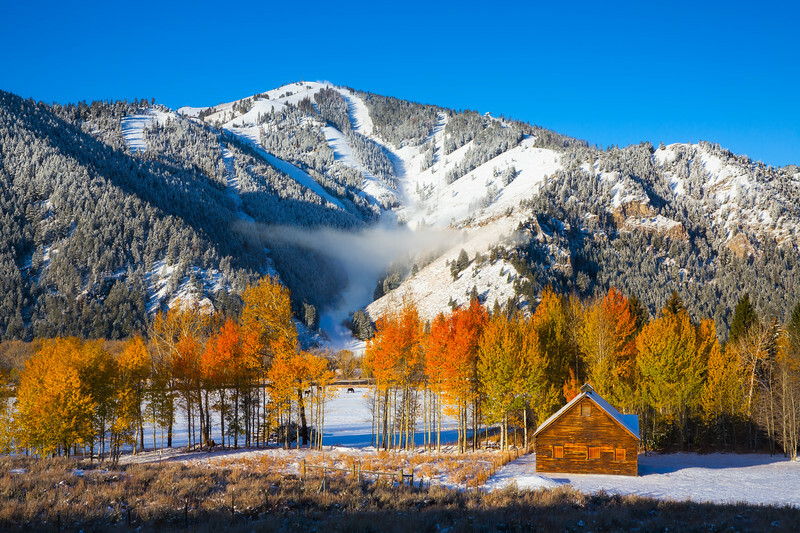 Fall changes to winter in Sun Valley, Idaho. 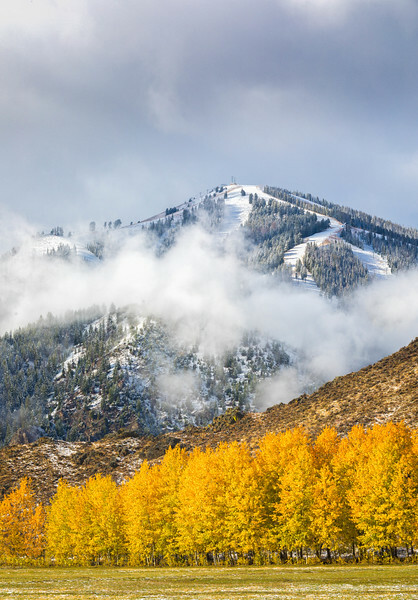 The iconic Bald Mountain sits behind an explosive display of Sun Valley fall colors and the world's first chairlift on Ruud Mountain. 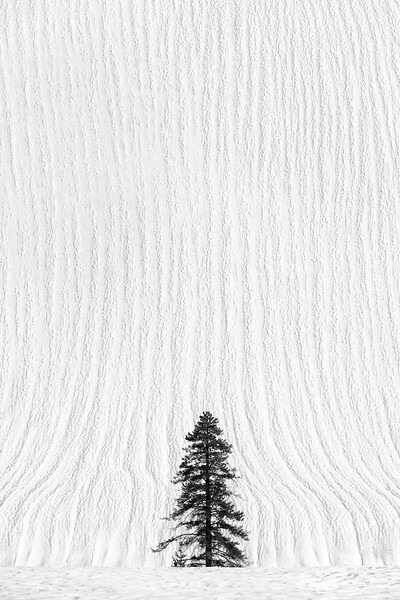 Heavy rains during the epic 2017 snow year created these intriguing “vertical corduroy” striations in the Boulder Mountains, just north of Sun Valley, Idaho. 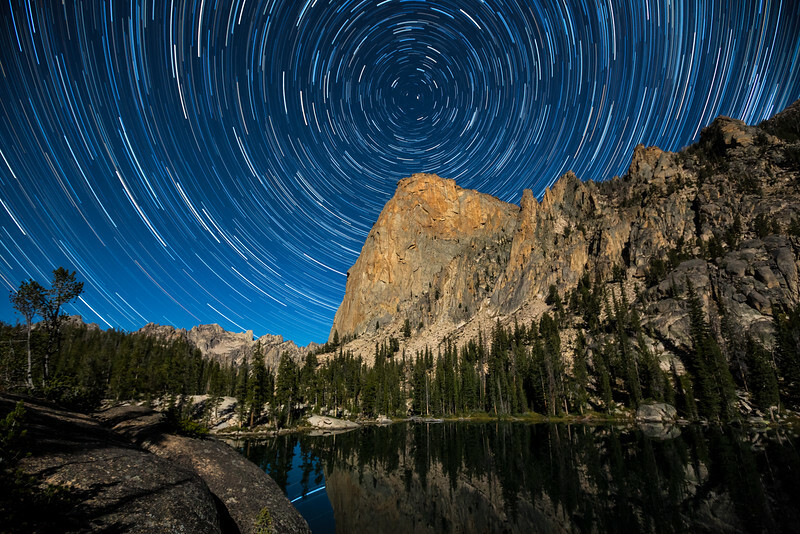 Star trails encircle the world famous Elephant's Perch in Idaho's Sawtooth Mountains. 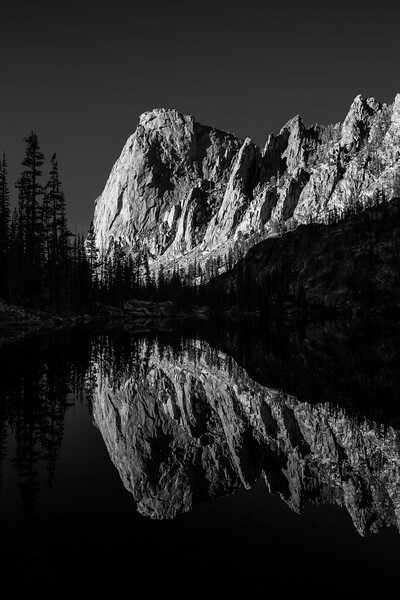 Shangri-La, October 2014, just before midnight. 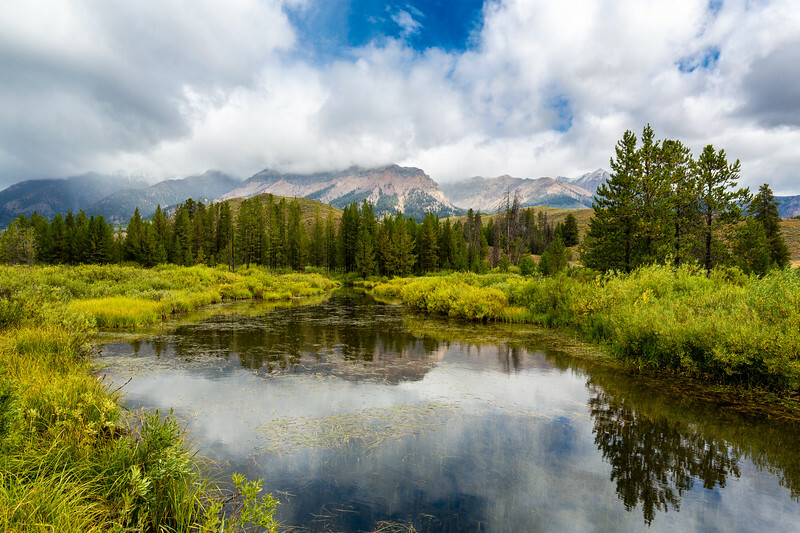 The world-famous Silver Creek is a fisherman's paradise. 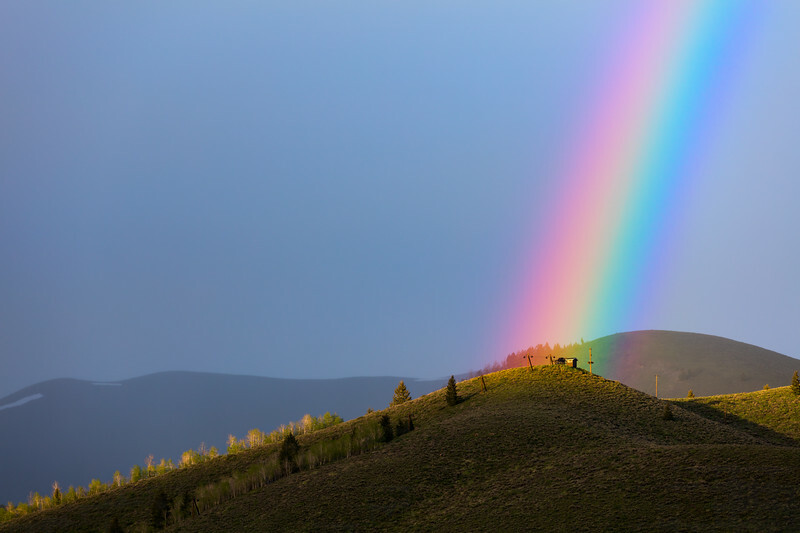 Ruud Mountain in Sun Valley, Idaho, is home to the world's first ski lift, and apparently a pot of gold. 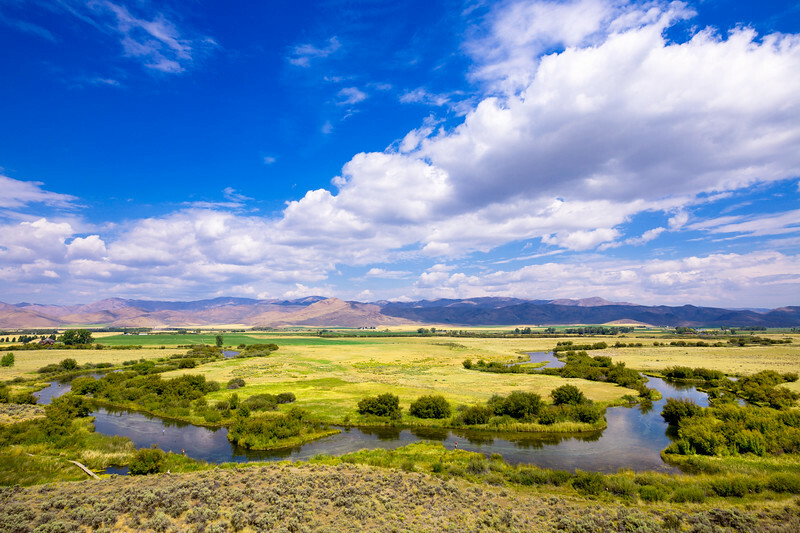 Fishermen enjoy the iconic oxbow of Idaho's Silver Creek. 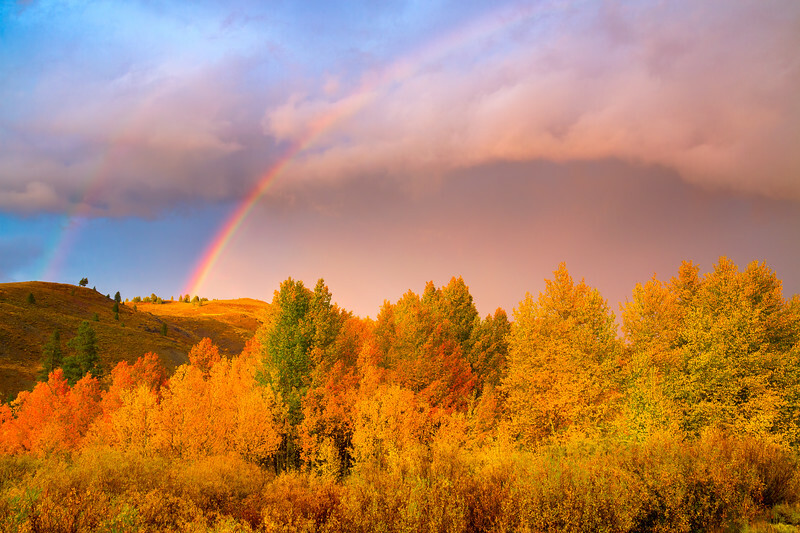 Cutting through storm clouds at sunset, a double rainbow hangs over the colors of fall in Idaho's Boulder Mountains. 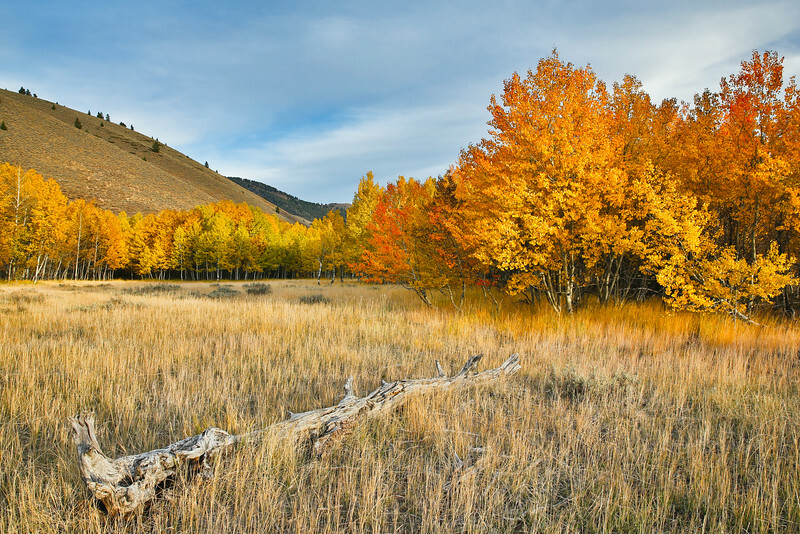 This is one of my favorite locations to enjoy the fall colors in Sun Valley, Idaho. 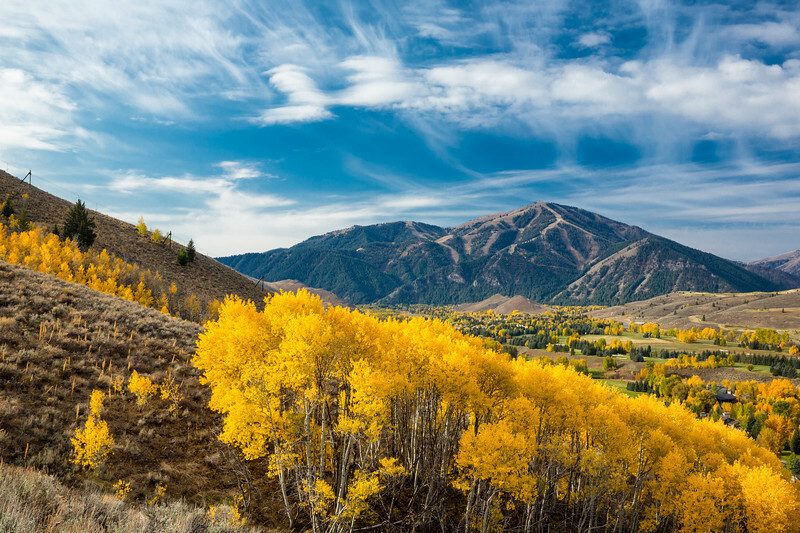 Shot from right near Ernest Hemingway's Memorial in Sun Valley, Idaho, the last rays of the day streak across the iconic Bald Mountain as Autumn goes into full swing. 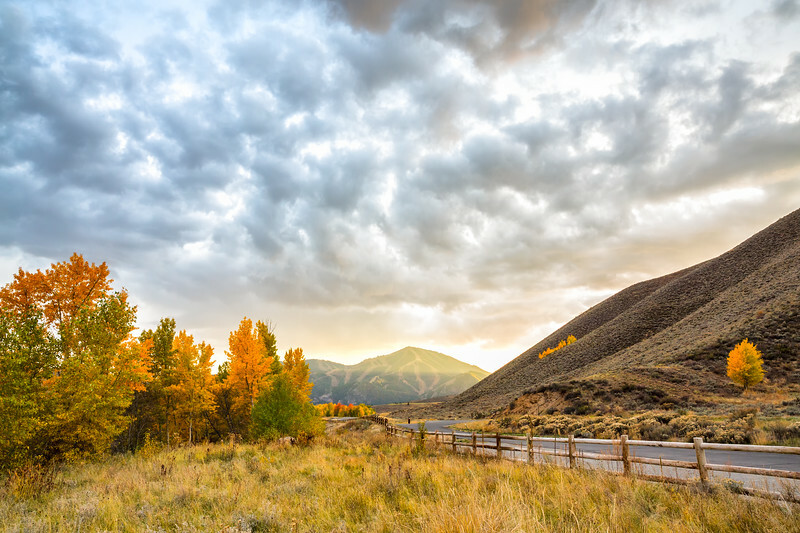 Idaho's Boulder Mountains flex their fall colors as a storm passes through at the onset of sunset. 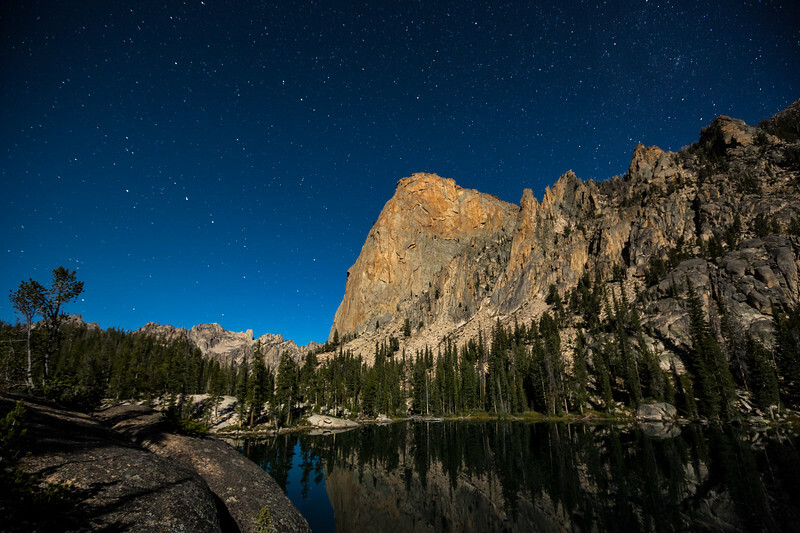 Star backdrop the world famous Elephant's Perch in Idaho's Sawtooth Mountains. 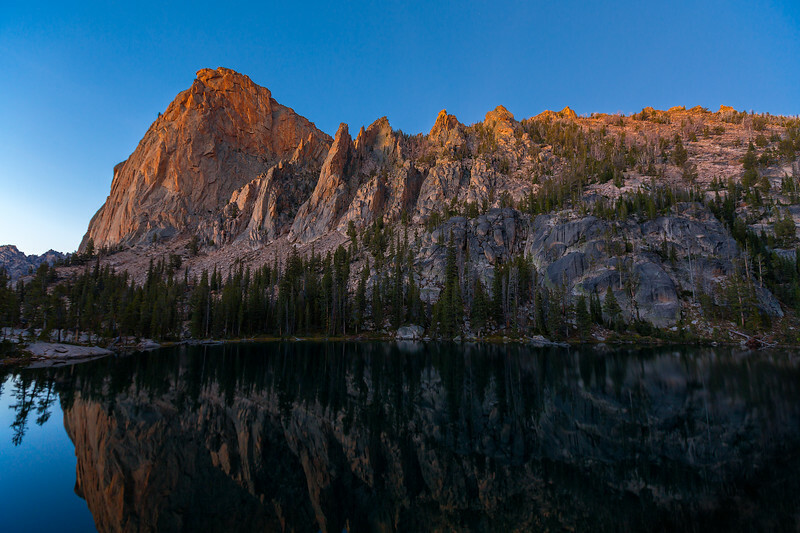 Shangri-La, October 2014, just before midnight. 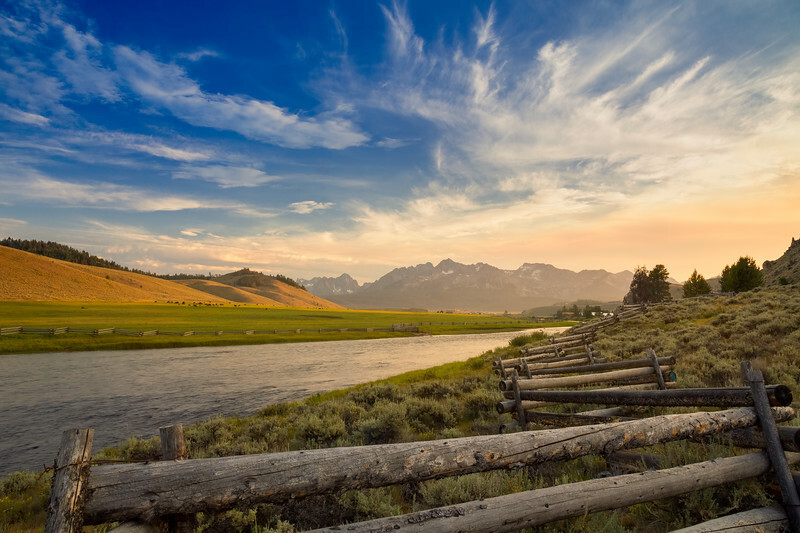 Idaho's Sawtooth Mountains backdrop the Main Salmon River as it flows past Lower Stanley at sunset. 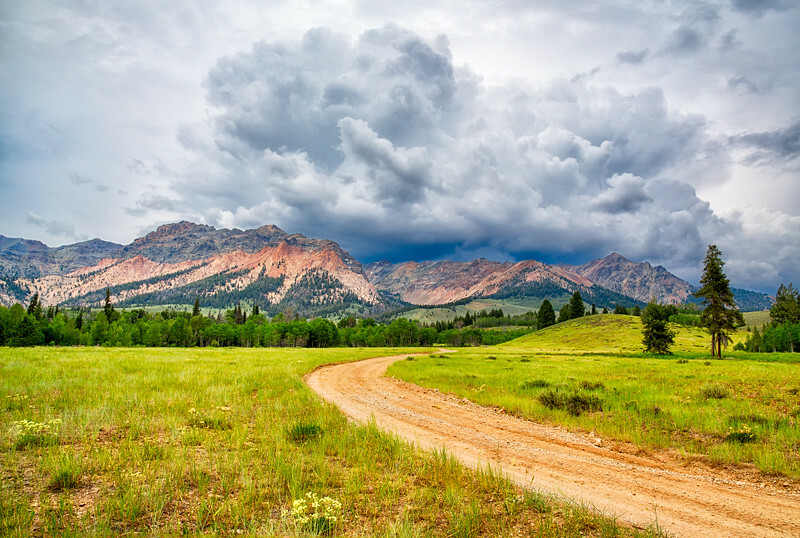 A storm cell passes over the Boulder Mountains just north of Sun Valley, Idaho. 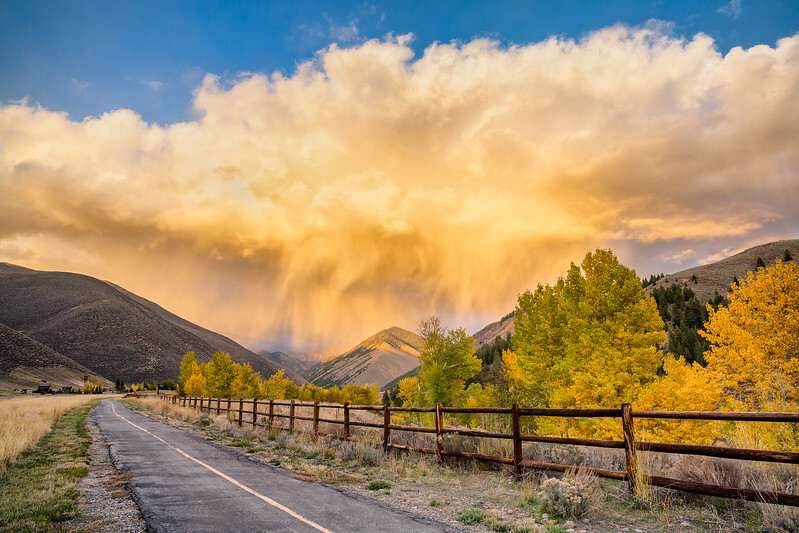 Evening light illuminates a feisty storm cloud as it charges across Trail Creek and into the Pioneer Mountains outside of Sun Valley, Idaho. 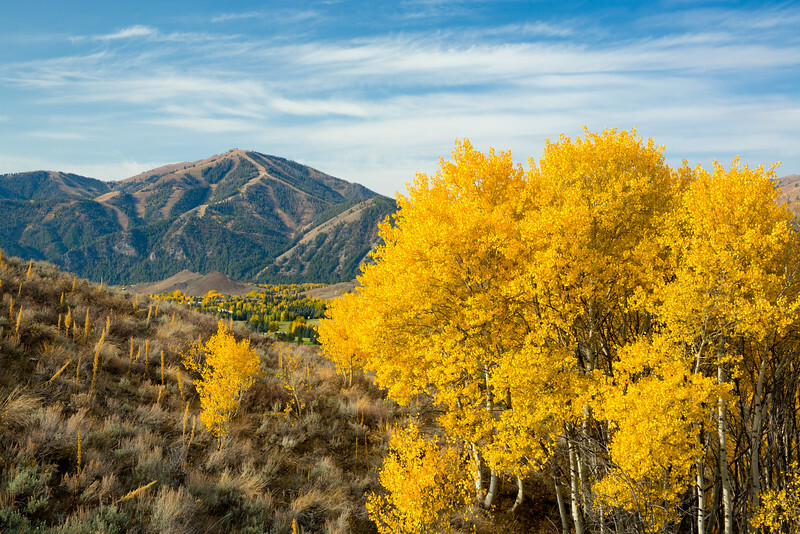 Bald Mountain looks down on the colorful display inherent in this photographer's favorite season. 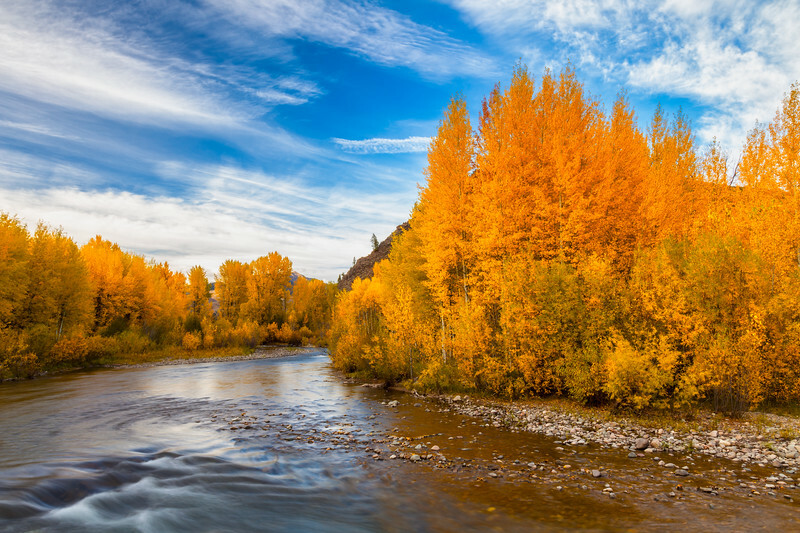 Idaho's Big Wood River passes gracefully through the autumn colors of Sun Valley, Idaho. 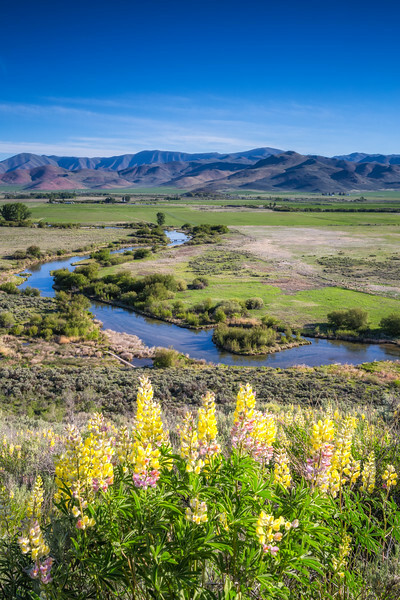 Wildlowers flourish in the spring at Silver Creek, near Picabo, Idaho. 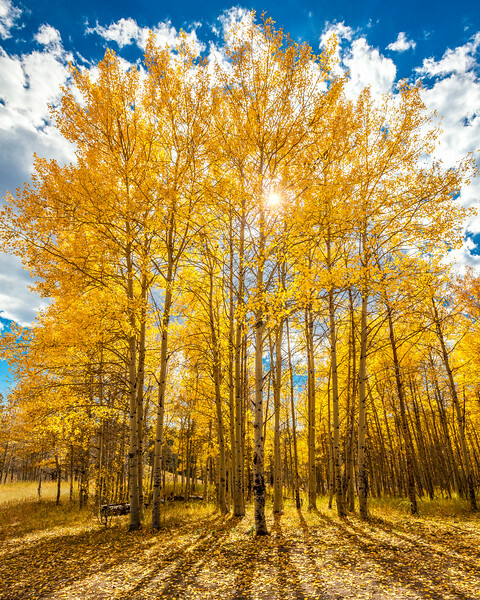 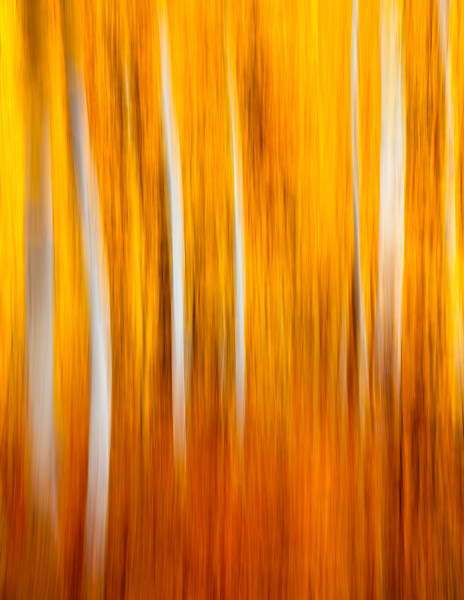 The morning sun peaks through a colorful aspen grove and thaws the chill off a meadow north of Sun Valley, Idaho.